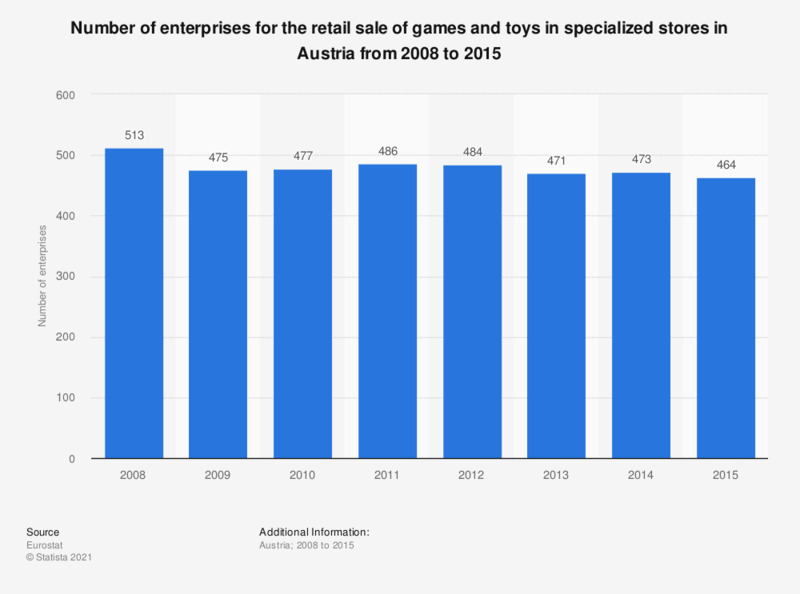 This statistic shows the number of enterprises for the retail sale of games and toys in specialized stores in Austria from 2008 to 2015. In 2015, the number of specialized games and toys retailers decreased by nine compared to the previous year, amounting to 464 enterprises. Data coverage corresponds to Section C4765 of NACE Rev. 2.